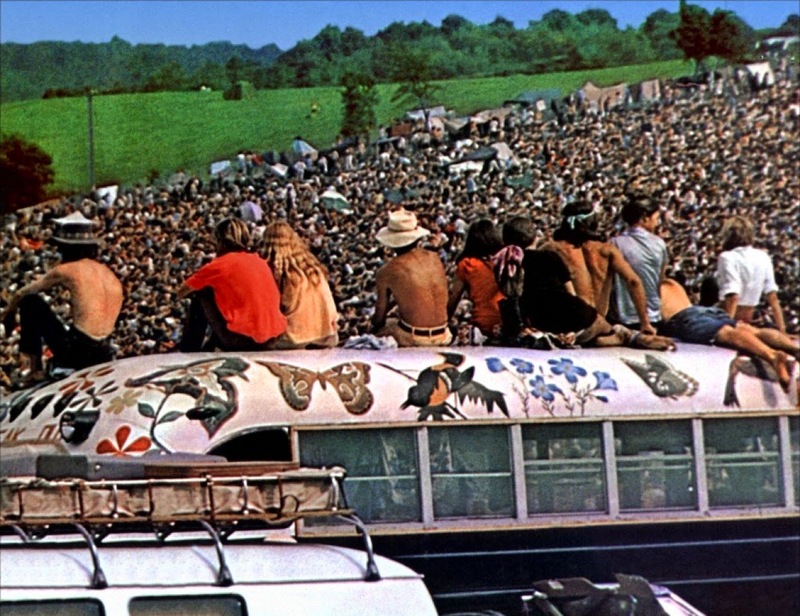 The Woodstock music festival was held in 1969, one of the biggest demonstrations of the emerging counterculture. The late 1960s in America is mostly associated with hippies, Woodstock and protests. Media portrayals of the period nowadays tend to feature hippies wearing bright tie-dye colours and talking about "flower power". The late 1960s were a little more complex than that. In this section you'll look at how the Age of Consensus came to an end. The emergence of the counter-culture and youth culture brought liberal ideas more to the fore than the had been in the much more conservative Consensus era. Multiculturalism was also on the rise - the "melting pot" of the United States bubbled on. What would all of this mean for American culture? How did youth culture develop? What was the influence of rock 'n' roll? What were "delinquints"? How did the 1960s influence youth culture? How did the sexual revolution influence youth culture? Why did this end up reversing? How did the hippie movement develop? What part did rock festivals play in the development of the counter-culture? How did the counter-culture end? What inspired the growth in ethnic pride in minorities in the US in the 1960s? How did black, Latino and Native Americans express their ethnic pride? What was the goal of cultural diversity? Why did some people oppose multiculturalism? 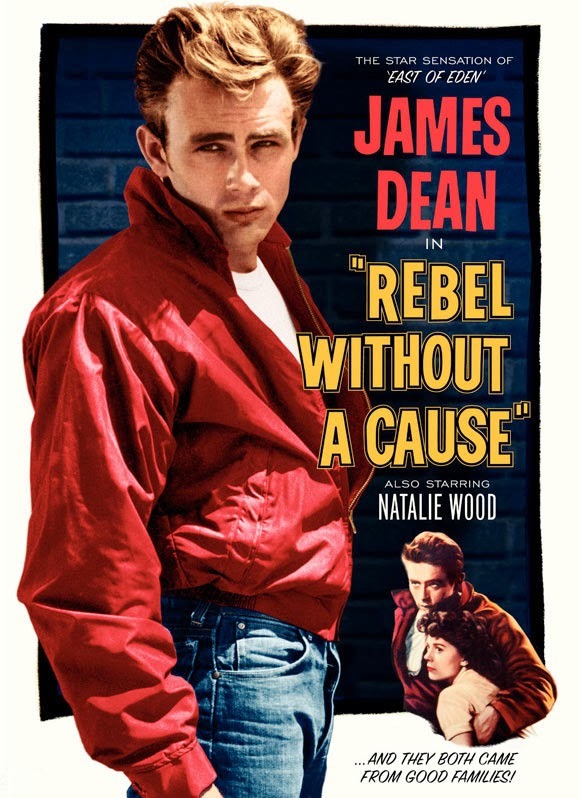 James Dean starred in "Rebel Without A Cause". Many older people in the 1950s and 60s were concerned that young people would turn out to be "delinquints", just like Dean's character in the film. 2007: What contribution did Betty Friedan and/or Norman Mailer make to society in the United States? 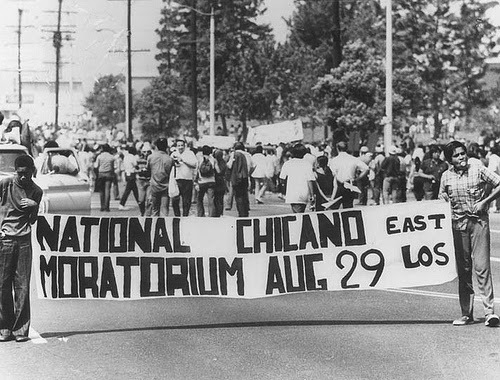 A "Brown Power" march in Los Angeles.